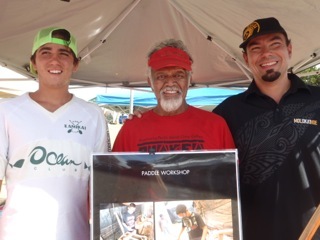 The Puakea Foundation had a booth at the State Races on August 4th. We were able to share our new model of the “Puakea Learning Center” with so many of you. Our “lucky Number Drawing” was a huge success, to all our winners of visors, t-shirts, an Uncle Bobby paddle, and the Grand Prize… a paddle workshop! Congratulations! The Foundation appreciates all your support! Congratulations to all our winners! MAHALO, again for your support!